YourDailyPhotograph.com is my favorite eBlast. Every day they show me three or more different images, usually two vintage photos and one contemporary image. These are prints they are trying to sell. This is the second image I submitted to them and the first they have accepted and sold. Thanks to all my fans who commented on the publication of my image. Awesome! Thanks for sharing the good news!! WONDERFUL!!!!! Now some of your writings should get prizes, as well. Appreciate your work! Merry Christmas! Awesome…congratulations! You are most deserving! Happy holidays! That is wonderful photo – so sculptural. Hope it sells. Happy holiday too! Hi Danny. Congratulations and well deserved! Congratulations. It’s a beautiful photo. Awesome! Stunning photo!! Wishing you and yours a very Merry Christmas. BTW…my Angel Tree photos turned out well. Thanks again for suggestions on settings. Good for you, Danny! Best to you and Barbara and may peace reign in your hearts forever. Congratulations Danny! I hope that you sell! I signed up but every time I click the link it sends me to the sign up page. Does this mean I just have to wait until the morning to get their daily email? Happy Holidays!!! Beautiful, Danny. Congratulations. Best wishes for a happy Christmas. I am SO PLEASED. May you sell many, many copies of this, our most-loved photograph. Congratulations, Danny. This is a quite an honor and acknowledgment of your talents. I need a “calming mule” right now as lots of stressful issues have happened to me in the last few days! Perfect timing! Very cool! Congratulations! Hope it sells ????. Merry Christmas!!! I will look for your lovely photograph tomorrow. I signed up for Your Daily Photograph. 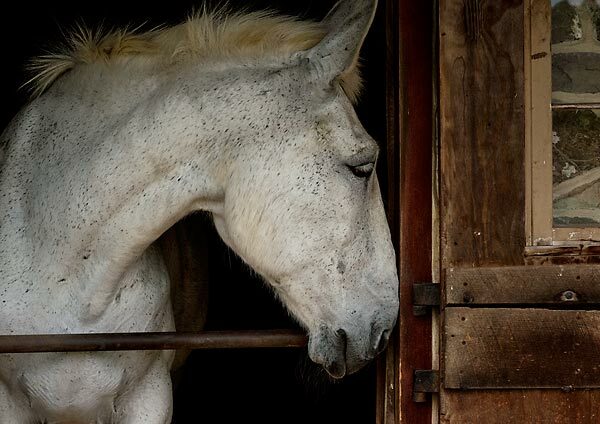 Being a horse lover, this is one of my favorites of your photos. Congratulations, Danny, and, wonderful shot! Congratulations, Danny. A great photo, and a wonderful honor for you. You deserve it. Merry Christmas. Congratulations, Danny and great photo! Congrats and good luck on the sale. I have subscribed to the blast….. Happy holidays and Merry Christmas to you and Barb…. That is so neat Danny. Merry Christmas!!! Congrats, Danny! Your photographs are prayers are beautiful. Merry Christmas and Happy New Year! How awesome! I really like this picture! I wasn’t aware that mules were used to calm horses! How appropriate, I think, then, that one was used in & around the birth of Jesus! Thank you, Danny, for your miraculous talent! Lovely image Danny. Congratulation on being selected for posting. And on Dec. 24. Donna: This is a winner! Fabulous. Kathleen: Sensitive and moving photo of a fellow sentient being. Betty: Elegant composition. Very well done, Danny! Linda: Congrats. Danny. Love your work!